Governor Jay Nixon is thanking state lawmakers... at least for the funds they appropriated for the Missouri Technology Corporation. The Democrat was in St. Louis Wednesday touting the nearly $16 million the Republican-controlled legislature included for MTC in the budget passed last week. 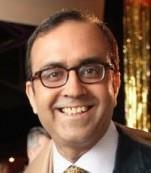 MTC provides early-stage capital to both entrepreneurs and startups. "When MTC gives an investment everyone knows that it’s smart and effective, and the legislature going along with us to make more resources available is important," Nixon said. Gov. 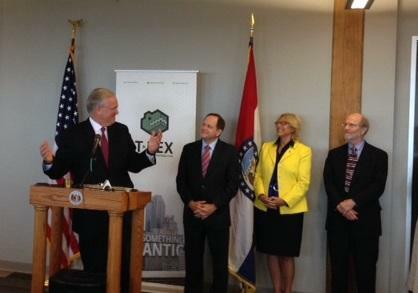 Jay Nixon shares a light moment with Mayor Francis Slay, Rep. Anne Zerr, and John McDonnell at T-REX. The governor also said a recovering economy has allowed his administration to release another $1 million to MTC in this fiscal year. He made the announcement during at stop Wednesday at T-REX, a technology incubator in downtown St. Louis. "Folks are getting back to work and we think investing in these types of startups that have good ideas and good strong workforce right here in downtown St. Louis is an excellent way to accelerate the recovery," he said. T-REX is among the 65 companies that have received funding from MTC. Executive Director Patricia Hagan said money helped renovate its building at 911 Washington Avenue. "One of the first things we did when we purchased the building was renovate the space on the fifth floor to serve as community space, and meeting space, conference rooms and co-working space," Hagan said. "And all that space has helped to create a community here." That community is helping foster entrepreneurship and growing the region’s economy. St. Louis Mayor Francis Slay said the city is becoming known for its startup scene, and the state’s commitment will only help. "Today’s investment is an indication of our current climate and our future, both supporting entrepreneurs and attracting them and keeping them," Slay said. The mayor added that St. Louis doesn’t want to be a training ground for Silicon Valley. The new managing partner of St. Louis-based financial technology business accelerator SixThirty is bringing plenty of experience to the job. As the Midwest economy continues to shift from a traditional manufacturing base, the spaces that many area workers and employers spend their days — and nights — in are also evolving. 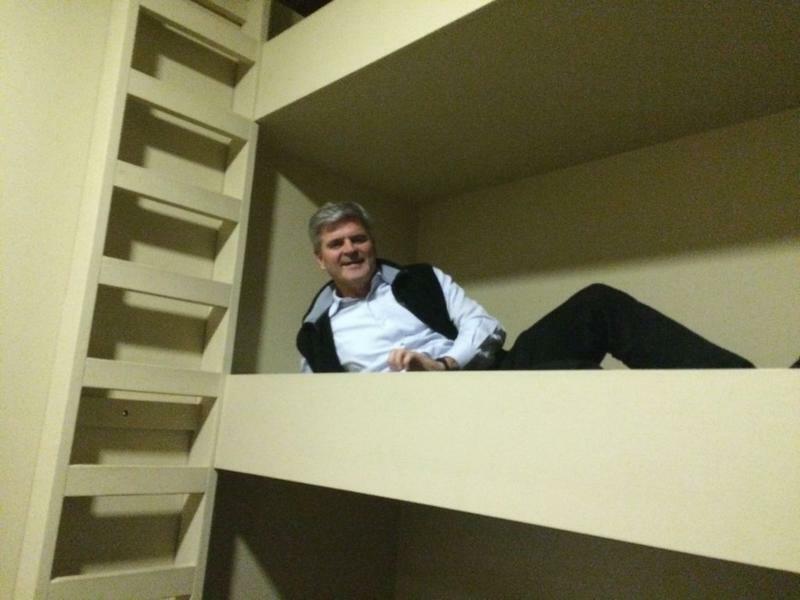 Research suggests more and more workers are shifting to non-traditional offices, ranging from pet-filled apartments to shared spaces, complete with bunk beds and craft beer. CTY is a technology company that formed in St. Louis just last year. But the startup nabbed a $35,000 Prototype Fund grant from the Knight Foundation and will test its first product in a project with the city. The product, called Numina, collects real-time data using optical sensors. 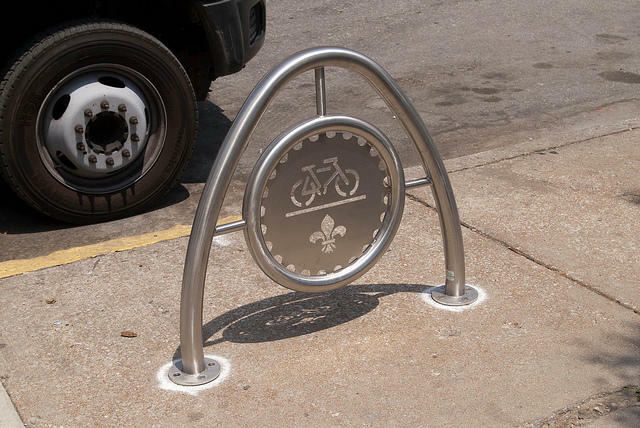 This summer those sensors will count pedestrians and bicyclists and send that information to the St. Louis Department of Health. CEO Tara Pham said the city’s willingness to work with a startup and use new technology is important. Updated at 11:05 a.m. Monday February 9, 2015 to include competition results. On Friday, St. Louis held it's first bio-health Startup Weekend. 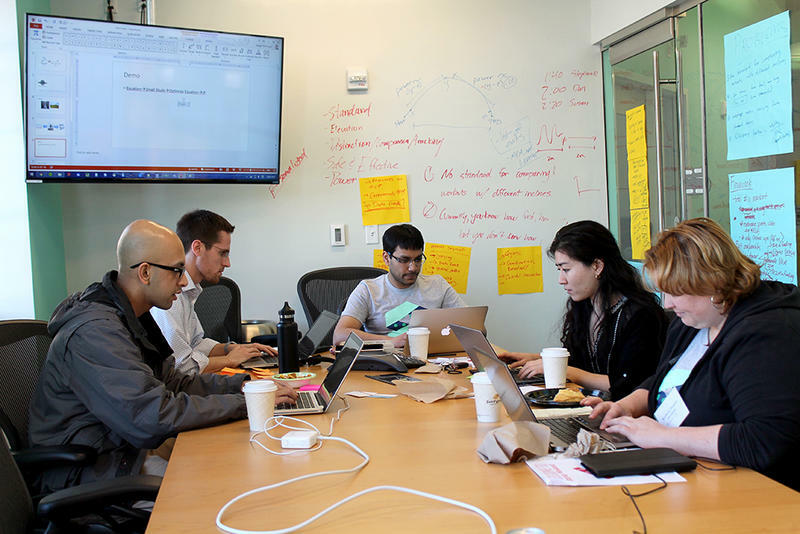 For 54 hours, eight teams worked to build a health-related business from the ground up. Cities around the country and the globe have held Startup Weekends. St. Louis had its first Startup Weekend in 2012. All they need is a business idea ... and youth. A new 10-week entrepreneurial bootcamp aimed at sixth through 12th graders will soon begin at Venture Café. The goal of the March to May Bootcamp is to help students start their own businesses, but also give them the tools to succeed in whatever path they choose.